Volker Rein is a DAAD/AICGS Research Fellow in October to December 2018. 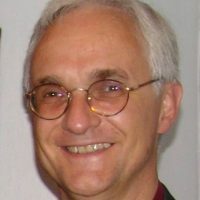 He is an experienced social scientist specialized on developments in education and training systems and policy as well as on skills requirements in Germany, in Europe, and in the U.S. He is working as a senior research associate in the Department of Learning and Teaching at the Federal Institute for Vocational Education and Training (BIBB) in Bonn, Germany. He has long-term experiences in research and development work as well as in advisory work on competence-oriented qualification standards and transparency instruments (qualifications frameworks, recognition of prior learning, credit transfer, etc.) in Germany and in the European Union since 1999. He was involved in the implementation of the European Degree Framework at University level (Free University Berlin) and in the development of the European and the German Qualifications Frameworks for Lifelong Learning in terms of formal, non-formal, and informal learning outcomes. He currently contributes to UNESCO’s development of World Reference Levels to connect qualifications frameworks globally. In this field, his special focus in R & D is on the compatibility potential between Vocational and Higher Education in terms of competency and proficiency. In the U.S., he contributed his expertise to the development of a nationwide Credentials Framework that addresses both degree and non-degree credentials in 2013-15 in terms of the general construction. He holds a Ph.D. and an M.A. in Social Sciences (Free University Berlin) based on field research in Southern Africa. 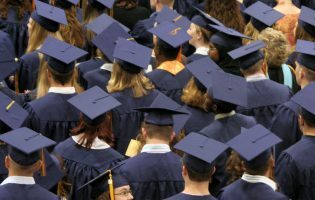 In the U.S. as in Germany, a debate drives shaping programs and credentials in all education and training sectors along competencies to address the needs of the societies, labor markets, and learners to promote lifelong learning and the transferability of learning achievements between the education pathways. The increasingly knowledge-based requirements in manufacturing and service areas and the trend to academic education of the advanced skilled workforce require appropriate systemic, instrumental, and conceptual adaptations in postsecondary education and training. In his research at AICGS, Volker Rein assumes that a fundamental dichotomy between academic and occupational requirements does not exist per se. On the contrary, in both educational approaches there is a potential compatible practice orientation for an acquisition of appropriate knowledge, skills, and competencies to solve complex problems and tasks. Using a comparative bi-national perspective, this research on relevant developments in U.S. postsecondary education and training will focus on community colleges. It intends to generate new theoretical and empirical findings regarding competency-related approaches at associate and bachelor levels in degree and non-degree programs, which try to address academic and professional requirements in a compatible and integrated way. This represents a considerable prerequisite for the development of compatible credentials in degree and non-degree education in terms of connectivity, progression, and employability.